This is a book that's familiar, as this is a topic of my philosophy and social science classes in the university: Saint Augustine's City of God. 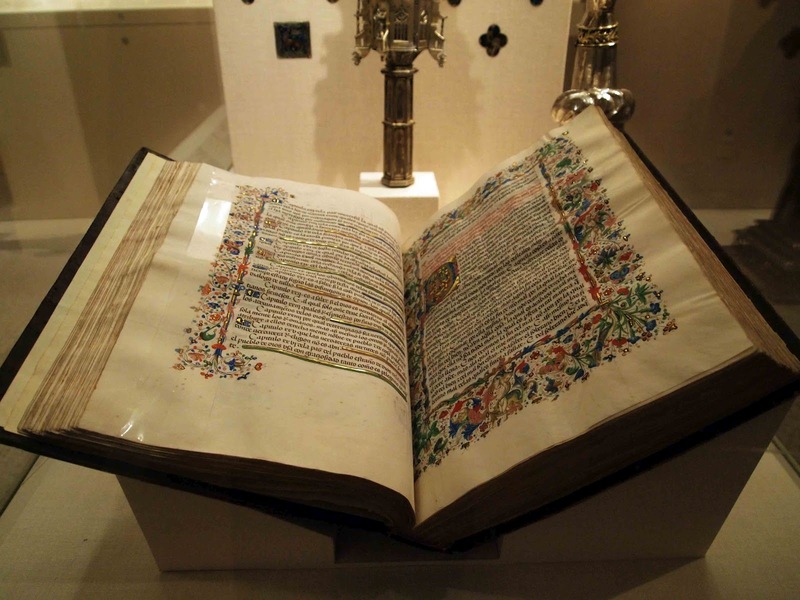 The book on display at the Metropolitan Museum of Art is one of the three volumes of the Spanish translation made by Cano de Aranda for the bishop of Toledo. The book is made of parchment, tempera and gold leaf.